Bark is committed to constantly adding new features and ways to make monitoring your children's devices easier, so we periodically send out updates for our Bark Desktop App used to monitor iOS devices. 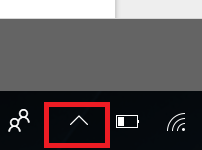 Step 1: Open the Bark Desktop app on your computer. Then, navigate to the bottom-right of your screen to find an upwards arrow icon. 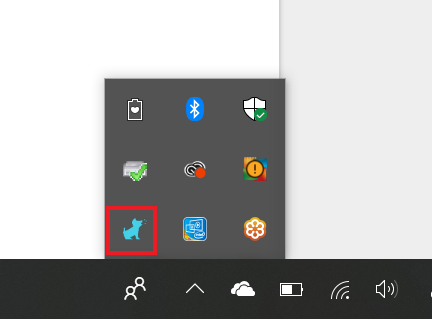 Step 2: After left-clicking on that arrow icon, right-click on the Bark icon. Step 3: Click on Help on the menu that appears, and then click on Check for Updates. Step 4: You will see a window pop-up letting you know if an update is available. If it's available, click Download Update. Bark will shutdown and re-open once the update is complete. Step 5: After it completes, restart your computer. 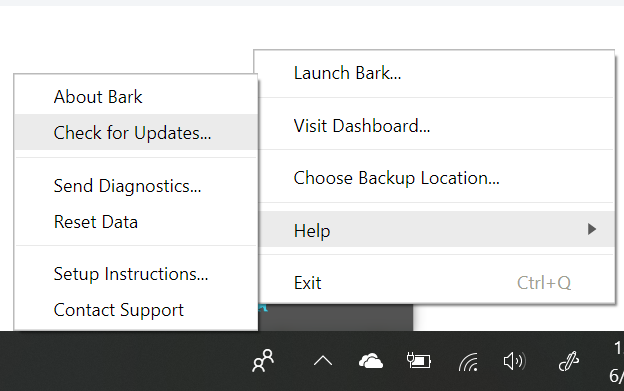 Step 6: You are now running the latest version of Bark!